Michelle and Charlie enjoyed a beautiful winter wedding and reception at Chandler Hill in December. 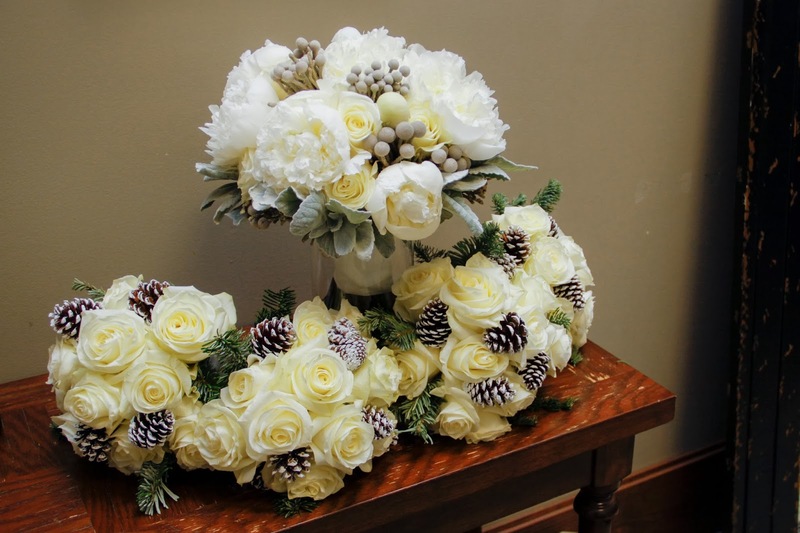 We used lots of winter textures for their flowers. Take a look at the images from Brea Photography. 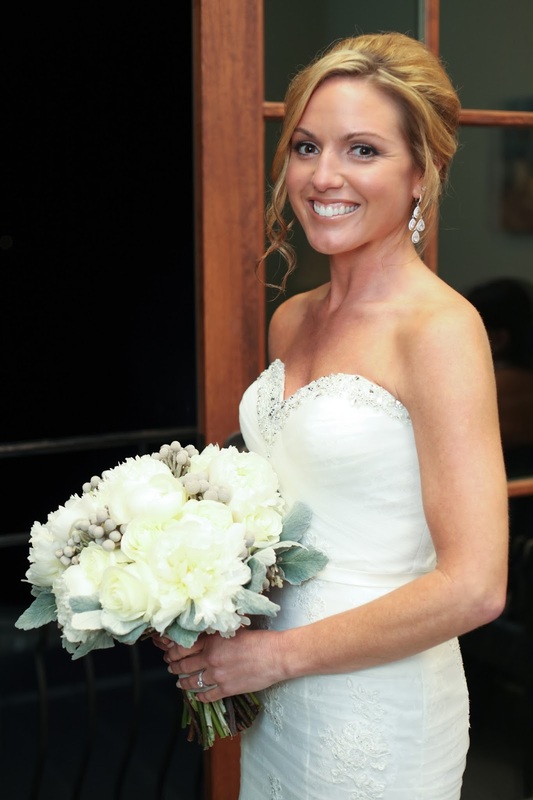 Michelle’s bouquet was a mix of whites and ivories with silver accents. 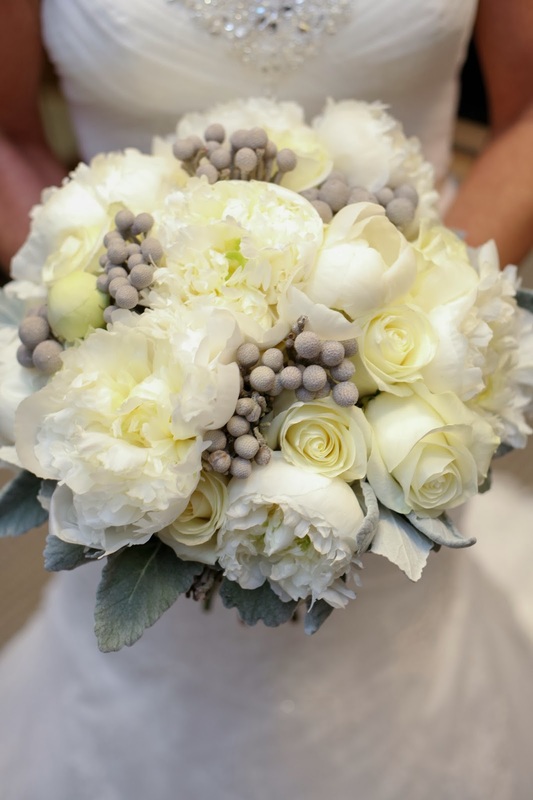 The feature flowers were the peonies accented with roses and a platinum-colored berry call brunia. 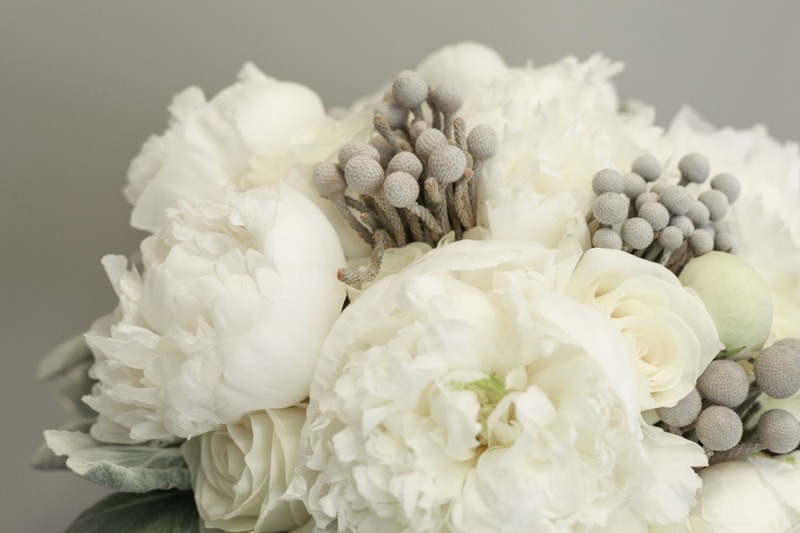 The bouquet was framed with a silver greenery called dusty miller. 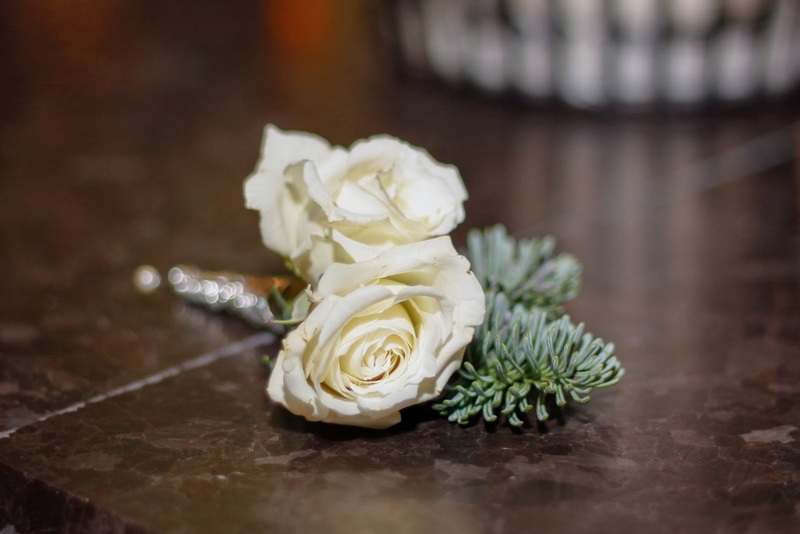 The bridesmaids had pine cones and winter evergreens added to their ivory roses for a winter-y touch. 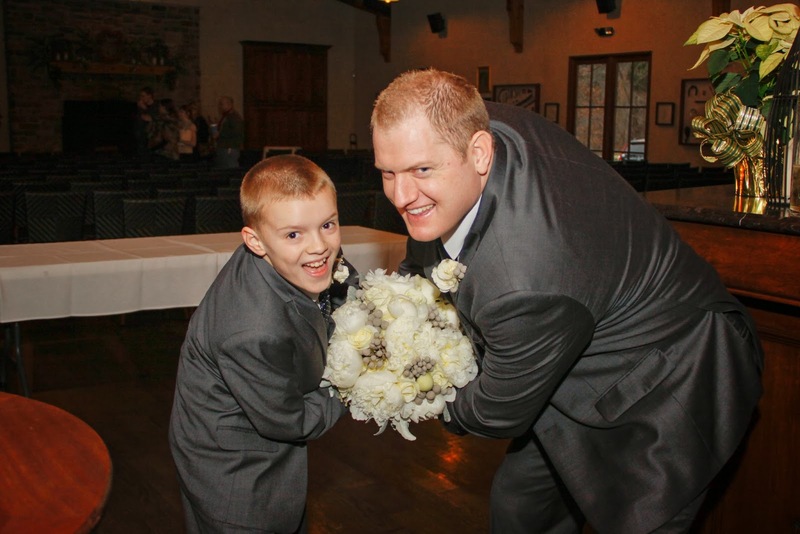 The guys’ flowers were ivory spray roses with an evergreen touch. Look at those two trouble-makers! Thanks to the bride and groom and their families! It was a pleasure to be a part of your day!